Reading and share top 1 Madura Aka Tirunelveli Tamizhachchi famous quotes and sayings. 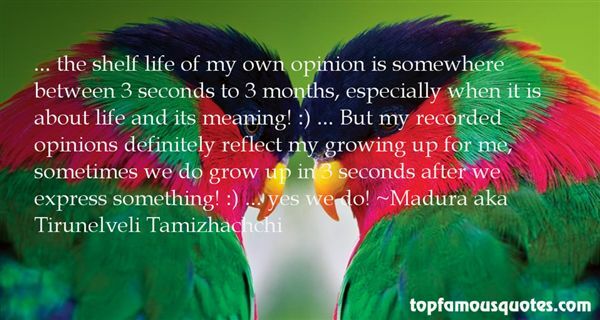 Browse top 1 most favorite famous quotes and sayings by Madura Aka Tirunelveli Tamizhachchi. Arab leaders worry more about making money from the profits they get from oil and gas that they turn the other way when Lebanon is being destroyed right next to them. Their neighbours are being murdered, but they only make calculations for their own benefit."